Amazon has been hiring house cleaners because it’s testing a new housekeeping service, dubbed Amazon Home Assistants, in its home city of Seattle, Bloomberg reports. Amazon Home Assistants’ workers can help customers with tasks like cleaning, laundry, and more, and the service has been generally well reviewed by customers so far. Hiring its own employees and creating its own unique service is a new approach for Amazon in the housekeeping space. Amazon launched Amazon Home Services in 2015, which is a marketplace where independent contractors can offer their services under the Amazon Home Services name. The program now offers services like help with home improvement, technology installations, and house cleaning. Despite the service’s expansion to all 50 states, and Amazon’s claim in 2016 that the market for home services was worth somewhere between $400 billion and $800 billion, Amazon Home Services’ growth has been slow, according to Bloomberg, possibly leading to the new program. Amazon Home Assistants targets a smaller market than Home Services: US consumers were estimated to have spent $16 billion on housecleaning in 2017 by ServiceMaster Global Holdings Inc., as cited by Bloomberg. By directly employing its workers and having more control over the service, Amazon may find more success with this new offering. Amazon Home Assistants could tie-in well with Amazon’s efforts to improve package delivery security. Amazon recently launched its Amazon Key program, which uses smart technology to enable in-home deliveries even when customers aren’t home. The program aims to provide more secure deliveries, thus giving consumers more reasons to buy from Amazon. Home Assistants could help this secure-delivery initiative in two ways: Users without Amazon Key could authorize the assistants to accept packages, increasing their value and Amazon’s delivery performance, or Amazon Key could make it possible for users to let the assistants into their homes without being present, incentivizing them to use Amazon Key. The service may make consumers comfortable with Amazon having a pronounced presence in their homes, benefiting some of the company’s other efforts. The e-commerce titan introduced its answer to Best Buy’s Geek Squad last July through Smart Home Services by Amazon, offering consultations on what smart home products are best for consumers’ homes as well as installations. 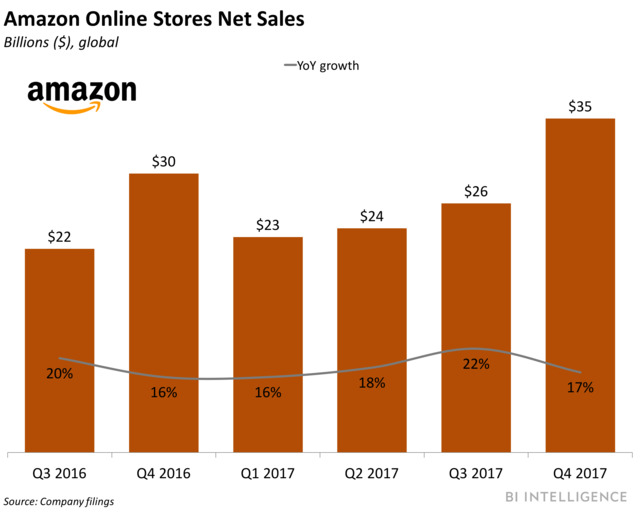 However, some consumers are uncomfortable with Amazon being in their living rooms all the time in the form of smart devices, likely hindering the service’s success. With Home Assistants regularly in consumers’ houses, they may be more apt to use Home Services and buy Amazon smart products, like the Echo, because Amazon will be a constant presence in their lives. This, in turn, could improve Amazon’s standing in the smart home industry.